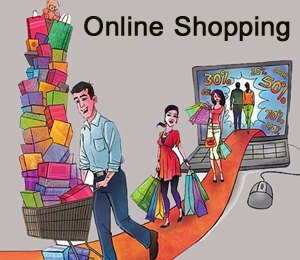 Online Store and online shopping trend is increasing rapidly in India. Recent example is Flipkart Big Billion Day. Flipkart online store officially declared that they had done a business of 615 Cr in just 10 hours. For many mega stores it is annual turnover which Flipkart just achieved in 10 hours. So is it marketing magic, heavy discounts or something else which leads tons of business? Well it is a combination of marketing magic and heavy discounts which leads to impulsive buying. Online store flipkart was offering discount up to 80% during Big Billion Day. According to one media report flipkart has given discount which is over and above what manufacturing companies has offered to flipkart. Additional discount amount flipkart was giving from own pocket. This was done by flipkart to get additional customers. Offering heavy discount is strategy of online stores. As customer is getting product at discounted rate it will create pull effect and customer is likely to purchase more products – Impulsive buying. By this strategy online store will not get much profit but these heavy discounts attract multiple new customers. Online stores main strategy is to select a product whose purchase price is low, so the loss is less. Trading like this will help trader loss from one product can be recovered from other products. Another scheme which is offered by online store is buy one and get one free. If online store is having additional stock of some product than to clear the stock online store launch scheme of buy one get one free or get 50% discount on purchase of one or the other. The customer sees the 50 % discount, but actually it is only a 25 % discount. This strategy is adopted today by almost all online stores flipkart, snapdeal, amazone etc. As per independent survey done by Assocham research firm, this year total value of online shopping is likely to cross 350 % (Rs. 10,000 Cr). This is due to huge discount offered by online store, enhance reach of Internet and easy accessibility through smart phones. Last year this growth was 200%. E-commerce market in 2009 was worth $ 2.5 billion, $ 8.5 billion in 2012 and in 2013 it went up to $ 16 billion. This year it is likely to increase further. Due to heavy discount customer think that buying product online is good but let me share with you some disadvantage of buying product online. In Online shopping customer is not fully aware about limitation of doing online shopping. As heavy discount is offered by online store, customer is likely to purchase unwanted items and likely to spend more by doing impulsive buying. After sales services is a big problem to customer in online shopping. Many Electronic items (mobile, laptop) purchased online are not carrying any warranty. What is your experience in buying products online do share your views in comment section!